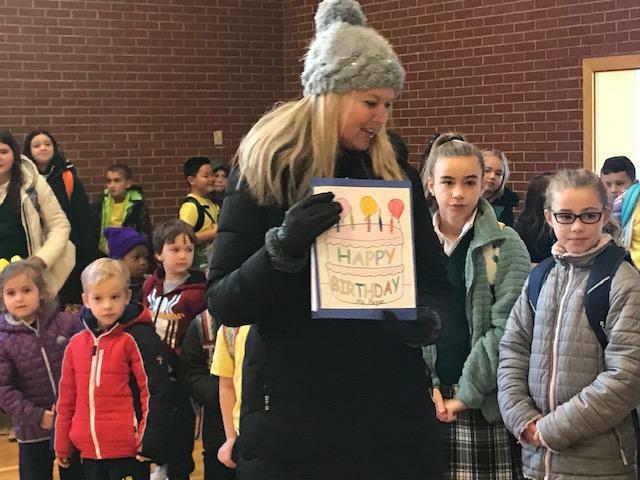 We came back from a small break that reminds us to be thankful for all the wonderful things in our lives, and I had the true honor to be reminded again this week on my birthday. The children gave such a special presentation to me, and I was able to spend time with the children who threw ice cream and cookie parties for me in PK. It was a day to remember. Every day I am reminded what an amazing community we have here, and what special and unique children attend this school. The kindness and good spirit can be felt all over the building. Now we enter into Advent season, which is just another example of why MTC is so special. This Advent season will be filled with much preparation in our school and in our hearts, for our Lord's birth. May you all have some true peace in this time of busyness! The Annual Thanksgiving Pow Wow took place on Wednesday, November 21st. This event has been an ongoing tradition at the school for many years. At the Pow Wow, our Kindergarten students, both KA and KB, celebrated the first Thanksgiving by acting, singing and narrating. 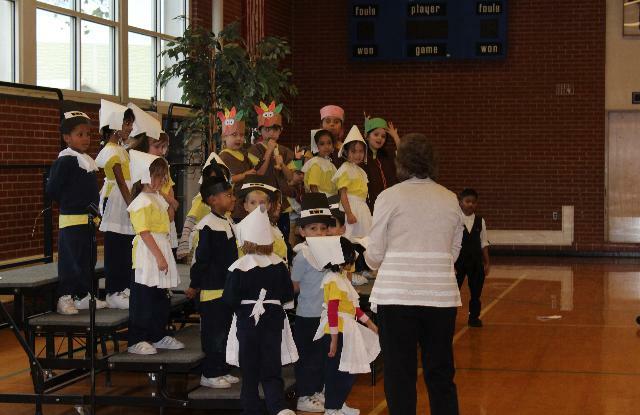 Our Kindergarten A class were the Pilgrims, who sailed across the sea to find the new land of America. Our Kindergarten B class were the Native Americans, who helped the Pilgrims find our great country. Other Kindergarten students acted as turkeys and hunters. “My little sister, Andrea, who is Kindergarten A, was singing and practicing her song all week! She was dressed as a pilgrim and was very excited and looked very cute,” said 6th Grader Leslie Errequin. It was an amazing production led by our wonderful Kindergarten teachers, Mrs. Natalini and Mrs. Schwegler. Both teachers did a great job organizing the young students. After the Pow Wow, the kindergarten students and their parents enjoyed a delicious Thanksgiving meal. The $10,000 giveaway took place on Wednesday, November 21 at MTC school. The event was held outside on school grounds. 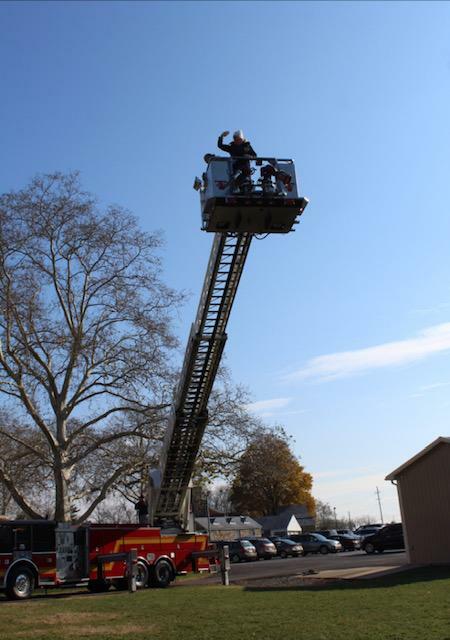 Ms. Pagan, along with the King of Prussia volunteer firefighters, went up on a mechanical ladder, many feet high. The golf ball that fell closest to the center point was number 185. The winning ticket was purchased by the aunt and grandmother of eighth grade student, Patrick Baker. Rosemary Keefer, grandmother of Patrick Baker, had six children attend Mother Teresa and seven grandchildren attend as well. Margie Kilpatrick, aunt of Patrick Baker, is an alumni from ‘75. She also had three children attend Mother Teresa. The Capone Family sold the most tickets. The Remar Family sold the second most amount of tickets. The Maloney Family was the lucky recipient of a $500 tuition credit. Students and parents attended, and stood to watch the dropping of the golf balls. The countdown to the balls dropping, led to scattered balls across the field. As soon as they fell, Mrs. Swope walked over and measured with a yardstick, the distance of each ball from the center point. “Thank you to everyone that bought a ticket. 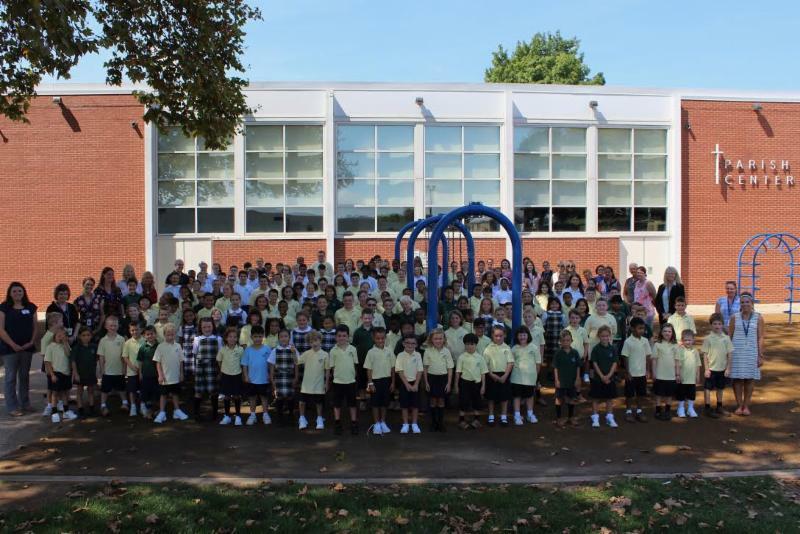 Thank you for the continual support of our MTC school community. We appreciate your generosity!” Mrs. Swope said. If you didn’t get a chance of luck in this event, you can always purchase a ticket next year. Good Luck in the future! Written by Sixth Grader, Sierra Martello and Eighth Grader, Katie George. 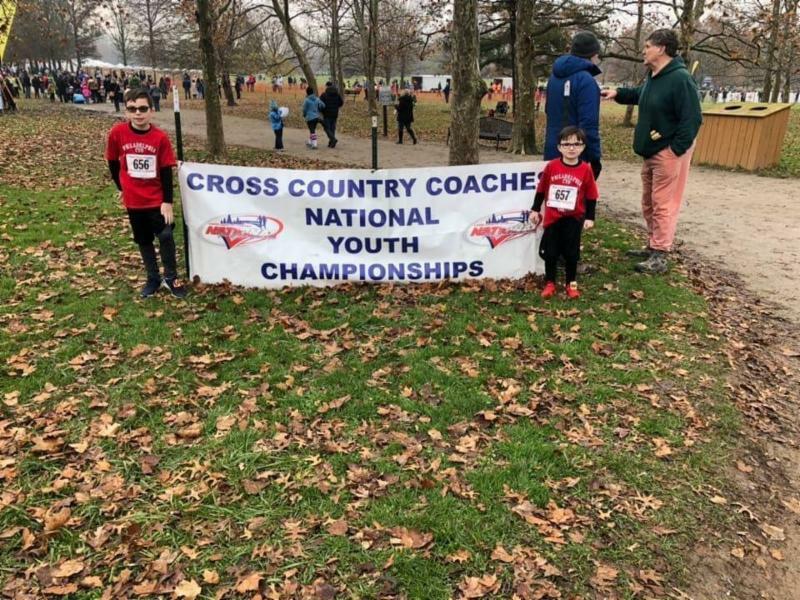 Brothers Liam Pierce, 3rd grade, and Logan Pierce, 1st grade, competed in the Cross Country National Youth Championships this past month. The race took place in Louisville, Kentucky and welcomed the best young runners from across The United States. Logan Pierce came in 95th out of 220 people and 10th overall for six year olds. Liam Pierce also placed within the top half of children in the nation. Mr.Tamasitis, or as the students call him “Mr.T,” is a teacher here at MTC. “Yes, I know my actual last name sounds like some weird disease but I like it. It’s unique,” Mr. T said. Mr. T has been teaching at this school for 3 years, since 2016. He teaches 5th, 6th, 7th and 8th grade students Social Studies, Religion, Spanish and Health, and he is the 6th grade homeroom teacher. Mr. T attended West Chester University . According to students, Mr. T makes learning fun and interesting by telling a personal story that goes along with what he is teaching at the moment. “He uses different stories of his own life to help us connect with the subject in the class. He explains it in a good way and really gets into the lesson,” said 6th grader Anna McCarel. Recently, Mr T received a Teacher of the Month Award for October. Mr. T also serves in the U.S army for our country. “I wanted to join the army because I want to make an impact in the world by helping others,” Mr. T said. He also enjoys teaching because he likes to see students like and understand what they are learning while also having fun. He especially loves to teach his 6th grade homeroom class because everyone’s personality is different and unique. 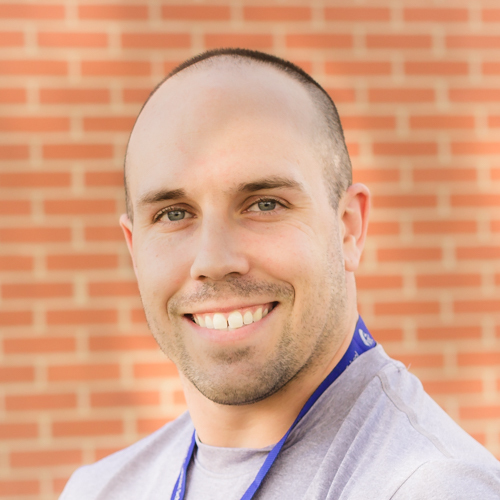 “I love to have the opportunity to help kids want to learn in a fun way while learning. Also I’m very grateful to be able to teach this 6th grade class this year,” Mr. T said.